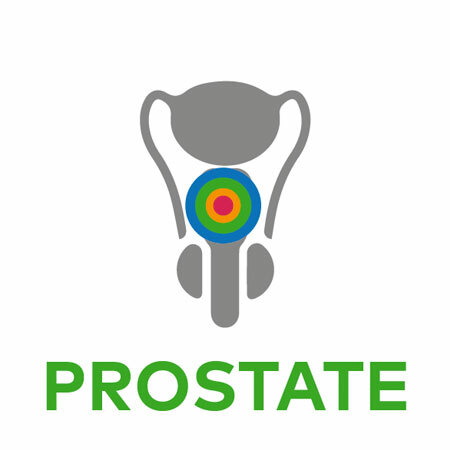 TRACERx Prostate (TRAcking Cancer Evolution through therapy (Rx) in Prostate) is a prospective observational cohort study that aims to transform our understanding of Prostate Cancer (PCa) through translational research. It has been funded by the Prostate Cancer Foundation, Cancer Research UK and the UCL/UCLH NIHR Biomedical Research Centre. PCa is the most common malignancy in men in the Western World. In the UK, it represents 13% of all cancer deaths in men with 47,300 new cases diagnosed and 10,837 men dying from the disease in 2012. Despite recent therapeutic developments, metastatic disease remains incurable and is often fatal. PCa heterogeneity is well recognized at a morphological level and recent technological advancements have helped reveal the genetic complexity of the disease. This heterogeneity is a major hurdle for diagnosing prostate cancer and could have significant implications informing treatment strategies. TRACERx Prostate, which was initially called PROGENY, is a collaboration between experts from a wide range of disciplines working together to integrate clinical, radiological, pathological, immunological and genomic data from patients with PCa. Patients with clinical features of intermediate to high risk localized prostate cancer may be eligible for the study where multi-regional transperineal biopsies of the prostate are taken under the guidance of multiparametric MRI-US fusion imaging. These spatially defined biopsies are subjected to in depth phenotyping and patients are then observed, and may have further clinical samples taken, during their cancer treatments and follow up. The principal objectives of TRACERx Prostate are to determine the relationship between Intratumoral heterogeneity (genomic, proteomic and immunological) and disease stage, radiological features, clinical outcome and treatment response. Exploratory aims include the identification of drivers of metastatic progression, identification of immunotherapeutic targets and testing the utility of cell-free tumour DNA (cfDNA) in patients’ blood as a predictor of disease recurrence. 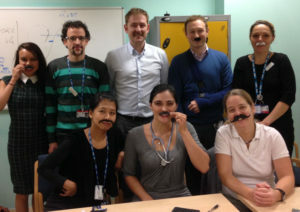 Dr Mark Linch – Consultant Medical Oncologist, University College London Hospital. 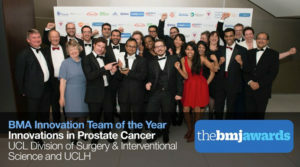 Dr Hashim Ahmed (Co-Chief Investigator, holding trophy) and Prof Mark Emberton (co-investigator, back right) celebrate their 2015 award for the implementation of a one-stop prostate cancer diagnostic clinic incorporating the novel multiparametric MRI-US targeted transperineal biopsies that are utilised in the PROGENY trial. McGranahan, N., et al. (2016). “Clonal neoantigens elicit T cell immunoreactivity and sensitivity to immune checkpoint blockade.” Science 351(6280): 1463-1469.